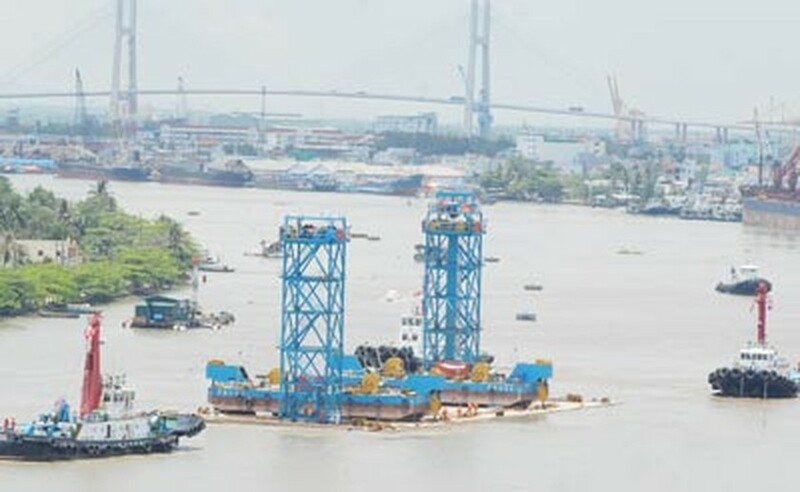 The third of the four concrete segments of Thu Thiem Tunnel, the country’s first underwater tunnel, was towed to the construction site in Ho Chi Minh City from neighboring Dong Nai Province on May 5. The 27,000-ton structure was towed from Nhon Trach District in Dong Nai. At around 7:30am, HCM City Vice Chairman Nguyen Thanh Tai gave the order for the towing and positioning of the third tunnel section. It took about five hours for four tugboats to drag the section 22km along the waterway with an extra tug boat to follow in standby. 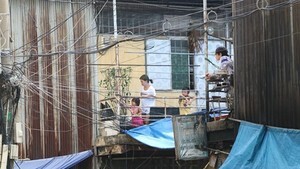 The third section was positioned at right place at 3pm at the deepest place in the Saigon River. The contractor plans to immerse the section on May 6.